Everyone loves a good meme, and the GOP debates inspire a ton of clever and hilarious creations. The third Republican debate Wednesday night was no different, as viewers took to Twitter to voice their opinions of the GOP candidates through funny photos — including Carly Fiorina. The former CEO has a stellar debate track record, winning the first "kids table" forum and then the second primetime debate by most people's standards, so there was a lot of pressure for her to keep up her excellent arguments and stage presence. Based on Fiorina GOP debate memes, people still have mixed feelings about her plans and her past. Before the debate, Fiorina ranked fourth among GOP candidates, tying with Jeb Bush with 8.11 percent of support. She fell slightly from her second place standing immediately after the second debate, but her likability could spike again after this presidential forum, since she once again held her own against Trump and came off as authoritative, yet genuine. Debate viewers on Twitter seemed to give her performance a mixed review, praising her joke about being told to smile more, but still skeptical about her corporate past. 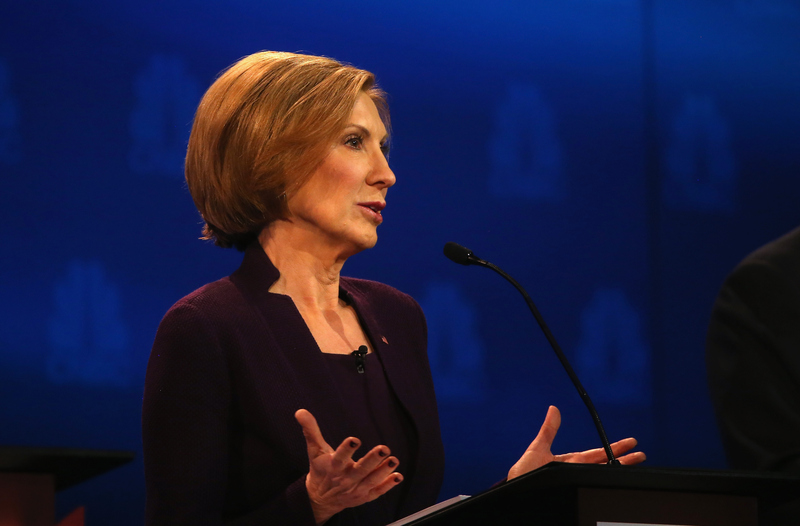 Here are some witty memes about Fiorina's third GOP debate performance. However, Fiorina didn't seem to get the overwhelmingly positive response she did in the first two debates.